The Atlantic Monthly published an article today lamenting that "fledgling" solar energy companies face opposition from environmentalists in the quest to pave over the Mojave Desert with massive solar facilities and transmission lines. The article ridicules our concern over endangered species, and demands an evolution in environmentalism so that we focus on human needs, and abandon what it describes as an outdated focus on conservation of nature far from humans. The Supreme Court today denied a petition by Kaiser Eagle Mountain Inc. in its quest to operate a landfill near Joshua Tree National Park. The company filed an appeal to the Supreme Court claiming that the 9th Circuit Court wrongfully ruled in favor of the National Parks Conservation Association (NPCA) and concerned citizens Donna and Larry Charpied in 2009. In that earlier ruling, the 9th Circuit decided that a land swap between the company and the Bureau of Land Management (BLM)--which was necessary for the company to operate the landfill--was conducted illegally. More specifically, the 9th Circuit Court ruled that the BLM broke the National Environmental Policy Act when it constructed the "purpose and needs"statement in its evaluation of the project based on the goals of the company, and not the BLM's own goals. Global warming driven by greenhouse gas emissions is expected to eliminate the iconic Joshua Tree (Yucca breviolia) from 90% of its current range within 60-90 years. The tree is likely to be limited to the northern portion of its range, according to a study led by the US Geological Survey that looked at how the tree reacted to a sudden climate warming approximately 12,000 years ago. 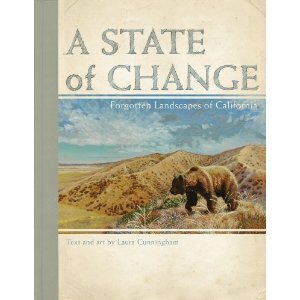 The climate study notes that the sudden warming period in the past reduced the Joshua Tree's range, and the extinction of the giant Shasta ground sloth since that time slowed the tree's ability to reclaim lost territory. The giant ground sloth used to feed on the seeds of the Joshua Tree and spread them far and wide. Today, small rodents such as squirrels and packrats still feed on the seeds, but do no carry them as far. Two different solar companies--Solar Millennium LLC and K Road Power--have officially revived proposals to build solar power projects on public land in the Mojave Desert. Both projects have been heavily criticized by biologists and taxpayers (and some biologists that pay taxes) as a waste of money and public land. Earlier this month, ten environmental organizations signed a letter asking a judge to remove populations of the gray wolf in Idaho and Montana from the endangered species list, but allowing the Wyoming, Washington and Oregon populations to remain on the list. The settlement letter was signed by some notable groups, to include the Sierra Club, Natural Resource Defense Council, Center for Biological Diversity, and Defenders of Wildlife. Decisions on whether or not to remove a species from the endangered list is usually based on a scientific evaluation of that species' recovery, not political decisions and boundaries. In fact, a judge said so last year in a decision that supported the environmental groups' efforts at the time to maintain the wolf's endangered species protections in Idaho and Montana. Now the environmental groups are asking that same judge to reverse his decision and de-list the gray wolf based on political boundaries. It's that time of year. After heavy rains in late December, and some smaller showers in February, the desert wildflowers have begun to bloom. I find the best source for updates on the status of the bloom is the Desert USA website, which posts photos and information submitted by readers who are fanning out across the Mojave and Sonoran deserts. The updates are organized by region and park, although some areas are not updated as frequently as others. You can also visit the Anza Borrego blog for updates on widlflower blooms in the vicinity of Anza Borrego State Park. Apparently there are some great blooms in the Sonoran Desert, and the blog has some amazing photos to back it up. The US Fish and Wildlife Service's (USFWS) decision not to list the flat-tailed horned lizard as an endangered species has been posted online, and a PDF copy is available below via scribd. 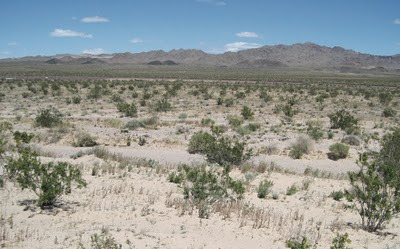 The lizard inhabits sandy hardpan or gravel flats in the Coachella Valley and Sonoran Desert, which lies south of the Mojave Desert ecosystem. The assessment confirms that the Coachella Valley population of the flat-tailed horned lizard will likely see significant threats within the foreseeable future, and admits that the Coachella Valley Habitat Conservation Plan has not yet preserved the lizard's last remaining habitat in the area. Nonetheless, because of conservation and land management efforts throughout the rest of its range, the USFWS believes the species remains viable and does not warrant endangered status. According to the Los Angeles Times, the US Fish and Wildlife Service (USFWS) decided not to list the Flat-Tailed Horned Lizard on the Endangered Species list after reviewing the proposal since last year. The lizard has been relegated to a fraction of its former range--which used to span the Sonoran Desert--but the USFWS assessed that inter-agency and local conservation efforts have set aside sufficient land to keep the species viable. Despite the ruling, the lizard still faces a slew of threats from illegal off-highway vehicle use, solar energy facilities, new transmission lines, and urban growth, which continue to constrain its remaining habitat. One massive solar facility--the Imperial Valley Solar power project--would deprive the flat-tailed horned lizard of nearly 9.6 square miles of habitat. USFWS acknowledges that some threats from energy development persists, but judges that the energy applications do not threaten the designated management areas. In late February, the Department of Interior reversed its longstanding position in favor of a landfill just outside of Joshua Tree National Park. For 24 years the Department of Interior supported legal efforts by a company to establish the world's largest landfill just outside of Joshua Tree National Park, where several square miles of canyons would have been filled with 20,000 tons of garbage each day. The trash, and 24 hour dumping operations would have brought air pollution and subsidized predators that threaten the protected ecosystems that provide peace to many visitors each year. Over 1.4 million Americans visited Joshua Tree National Park last year, and they came to see beautiful desert vistas, wildlife, and wildflowers, not trash. 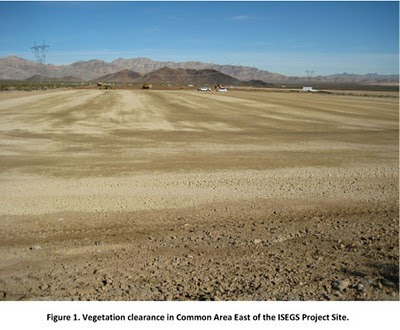 Basin and Range Watch posted a review of the proposed desert tortoise habitat mitigation plan being considered by BrightSource Energy LLC. The company's Ivanpah Solar Energy Generating System is being built on 5.6 square miles of public land, and has already displaced as many as 50 endangered desert tortoises. As part of it's agreement allowing the company to bulldoze and operate on public land, the company must purchase several thousand acres of privately held desert as mitigation -- the land must serve as good quality desert tortoise habitat and habitat for other special status species affected by the massive solar project.